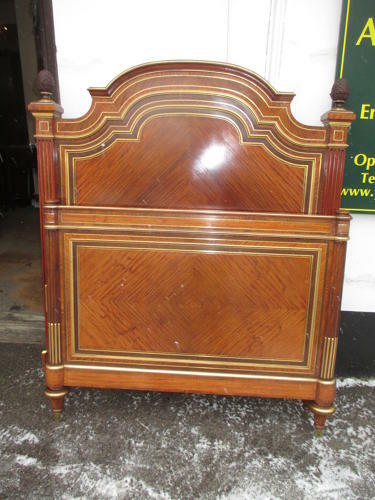 A really wonderful quality bed recently sourced in France, Brass inlaid into satinwood and rosewood, obviously come from a noted French maker but there doesn't appear to be a label on it. in the Louis XVI style, all in excellent condition . Best quality one for ages!